Engraving and color offset print. 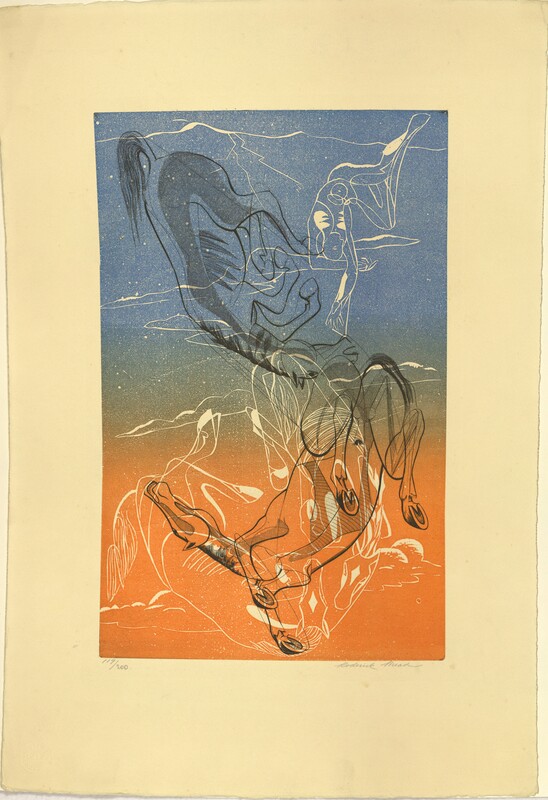 A color abstact engraving and color offset print titled "Phaeton" with orange and blues. It has edition number of 19/200. 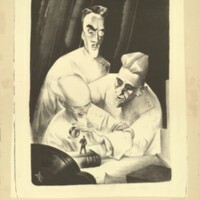 Artist signature in bottom right corner. 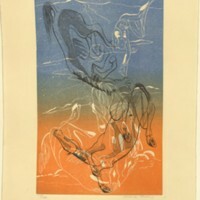 Mead, Roderick Fletcher, “Phaeton,” Digital Exhibits, accessed April 24, 2019, https://cuexhibits.wrlc.org/items/show/183.